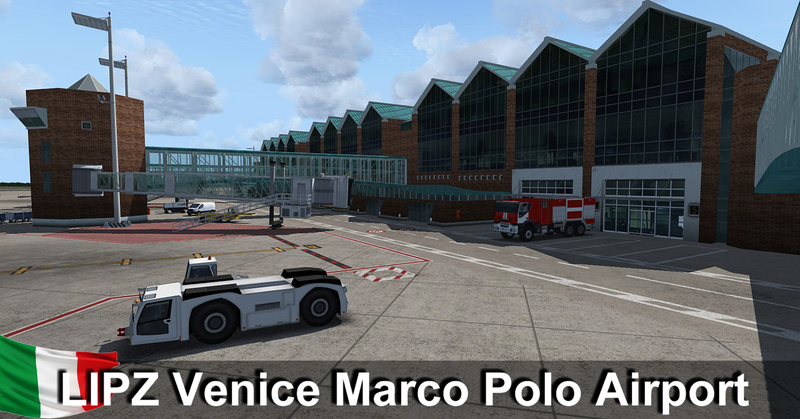 (IATA: VCE, ICAO: LIPZ) is the international airport of Venice, Italy. It is located on the mainland 4.3 nautical miles (8.0 kilometres; 4.9 miles) north of the city in Tessera, a Frazione of the Comune of Venice nearest to Mestre. 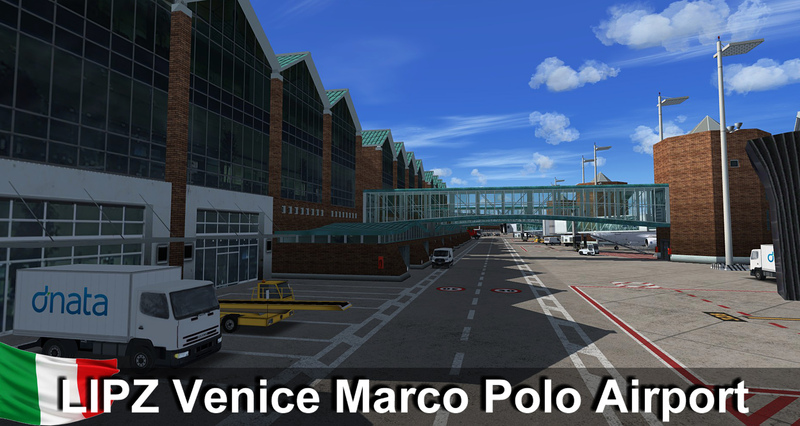 Due to the importance of Venice as a leisure destination, it features flights to many European metropolitan areas as well as some partly seasonal long-haul routes to the United States, Canada and the Middle East. With 10.371.380 passengers having passed through the airport in 2017, it remains the fourth busiest airport in Italy in terms of passenger numbers. 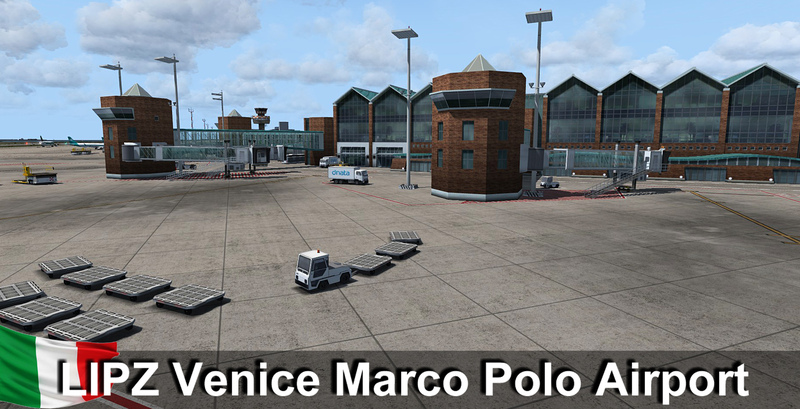 The airport is named after Marco Polo and serves as a base for Volotea and easyJet. Colors landclass made for the color gamut FTX ORBX GLOBAL World textures. Possibility to combine our scenery and custom Venice city ("Venice X" scenery).Our simple instructions installation included. Está lindo, iluminação perfeita, objetos bem posicionados, apenas o desempenho não está muito bom. Mas o preço vale numa promoção. 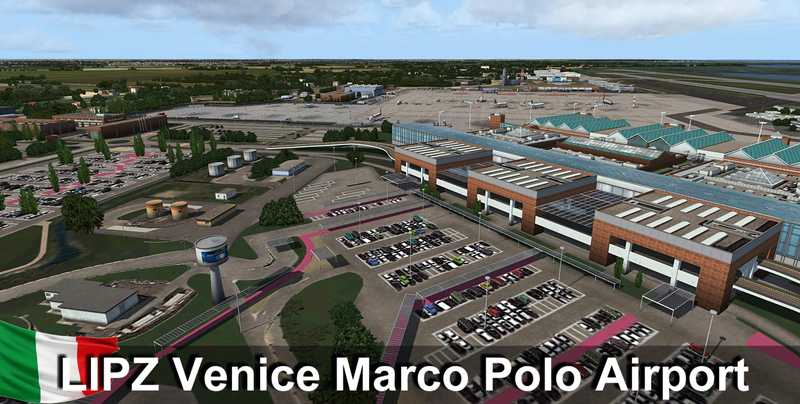 Finally a fantastic Venice airport ! Only 4 stars for moving jetways missing ! The modelling is exceptional, 3D grass, GREAT ground textures.. but there are a few cons. It also doesnt have a interior. That always adds a touch and they should have seriously done one to make up for no jetways. Solid product. I'd only pick it up if your seriously going to use it. Its not one of those things you buy, use it once and be satisfied. But thankfully, you can use all of the new aircraft here. Grab the aerosoft here on SimMarket, many routes to fly! The QW787 will also get use, with AAL operating flights to Chicago OHare from here. And if one day we get a 767, Delta operates direct to JFK. Once again, you should only pick this up if your going to get good use out of it. 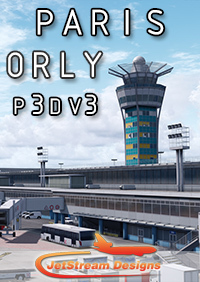 RFScenery is laying down some great airports and this is no exception. I have several of their other locations and Marco Polo is just another great add-on. FPS is excellent and the appearance of LIPZ is very pleasing to the eye. Well done RFSB. After the last excellent Ljubljana, it’s time to say hello to one more excellent and outstanding product, Venezia! As for all RFSB’s add ons also for LIPZ just one word guys: well done! 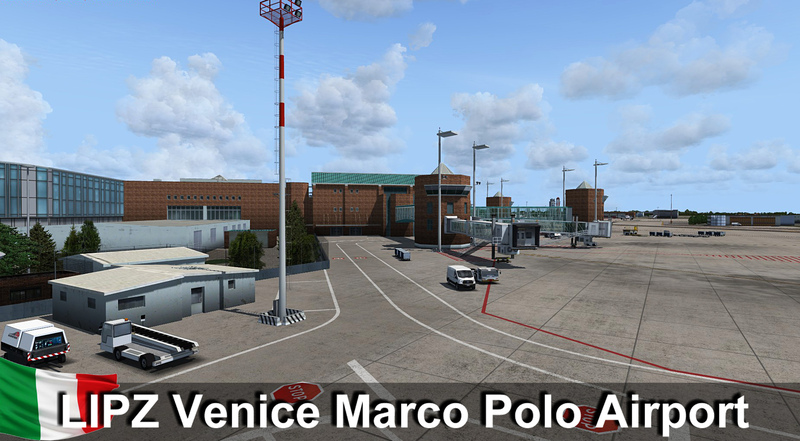 Excellent combination (thank you a lot RFSB) with RFSB airport and Aerosoft city of Venice (AS Venice X). Easy to install, excellent FPS for my old, but first class FSX. Ragazzi, prendetevi e godetevi questo prodotto di primissima classe.  id product. I'd only pick it up if your seriously going to use it. Its not one of those things you buy, use it once and be satisfied. But thankfully, you can use all of the new aircraft here. 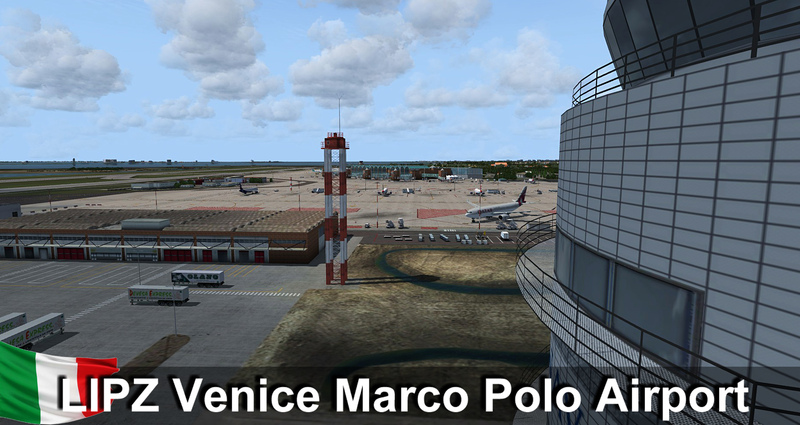 Grab the aerosoft here on SimMarket, many routes to fly! The QW787 will also get use, with AAL operating flights to Chicago OHare from here. And if one day we get a 767, Delta operates direct to JFK. Once again, you should only pick this up if your going to get good use out of it. 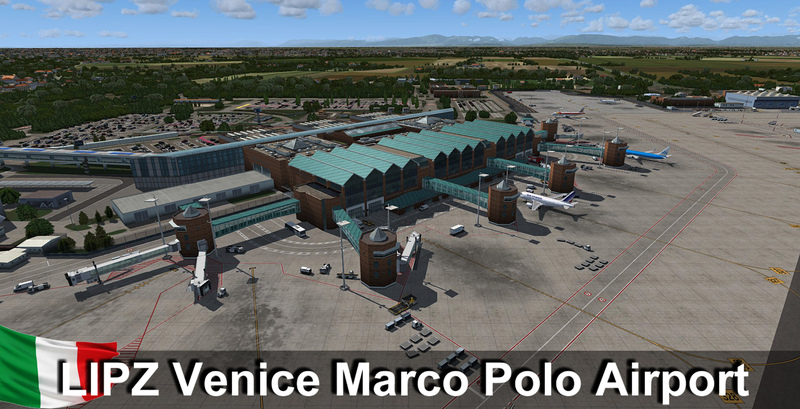 t combination (thank you a lot RFSB) with RFSB airport and Aerosoft city of Venice (AS Venice X). Easy to install, excellent FPS for my old, but first class FSX. Ragazzi, prendetevi e godetevi questo prodotto di primissima classe.